It reads out the name and the descriptions and points out any notes added to the images. 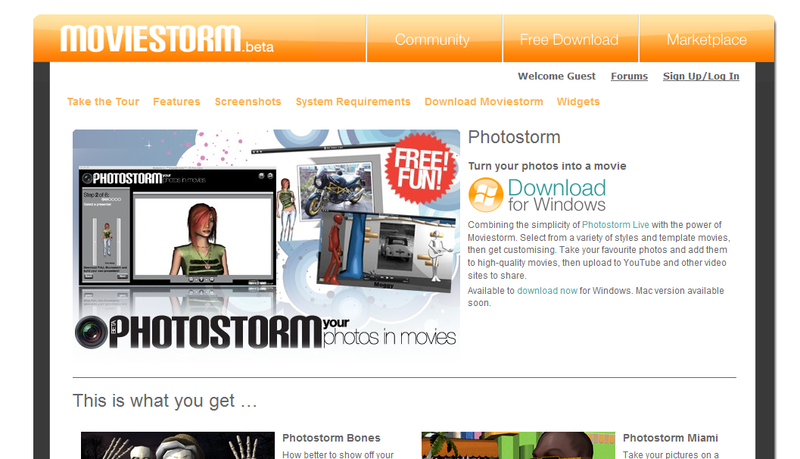 Install and run moviestorm (400Mb download) to check it works. You have to sign up on the website to get it started. Find the Stormr source code here (sorry no binary any more). 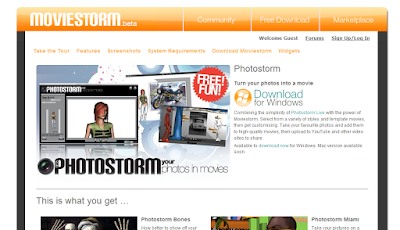 Enter your flickr username, select the set you want, then follow the instructions to start moviestorm, and load the newly created movie. Leave moviestorm running full screen while it renders, then click on one of the options near the bottom of the screen to view the movie or upload it to ta interwebs. (Click the blue underlined link to show the file location on disk). Fix the subtitles so they can't be white on white. I've taken the philosophy that it should work with the base pack and be fairly simple. I might put some fancy camerawork in, but I leave using assets from other addon packs to the user. It's an example of a bridge application - pulling the printed image into the video age. There's a lot of other content these things could be built for very easily. Flickr note's are public - anyone can add one, so becareful what ends up in your video... ;) You can turn this feature off in flickr's settings. Add crowds to read out comments, and point to areas of the image they've commented on. Add a license (Copyright, Creative commons etc...) license management system. Perhaps stormr should old work on CC derivative works allowed (or laxer) input images? Port it to the cloud and allow it to download a zipped movie to your computer. Find a way to add web links to the video file, even if someone's got a patent on it. Having more content in the base pack to work with - just some background noises that aren't outside would make a difference.